The Harman/Kardon AVR 3700 drew us into our music and movies in an engaging and immersive way every time and without fail. In 1958, Harman/Kardon became the first manufacturer to combine the three staple hi-fi components of the day into a single chassis: preamplifier, power amplifier, and radio tuner. The result was a one-box amplifying solution that sported 20 vacuum tubes, five transistors, and a hefty 15 WPC (!) of power. It became known as the Harman/Kardon TA230 Festival, the world’s first hi-fi stereo receiver. …the AVR 3700 had excellent dynamic range capabilities, sounding consistently powerful, punchy and effortless throughout our listening sessions. Fast forward more than 50 years, and H/K are still going strong in the receiver game. 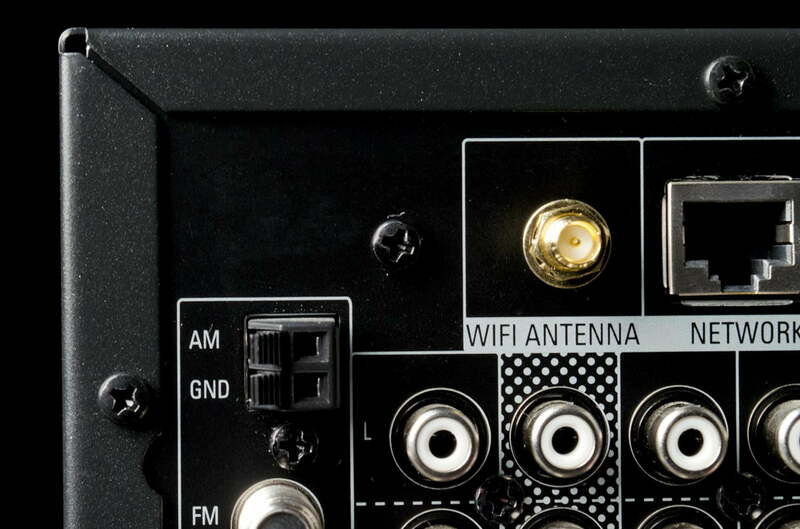 Of course, a myriad of receiver makes and models are available these days, but most of them incorporate some must-have features that define the A/V receiver genre: audio/video source switching, A/D and D/A signal conversion; surround sound processing; multi-room control; streaming audio processing; home networking; and Internet radio access. Such is the case with one of Harman’s latest A/V receivers, the AVR 3700. It too comes fitted with the aforementioned features as standard, even if they are somewhat less developed than the competition. And with an MSRP of $999, the AVR 3700 sits in a price bracket where consumers can choose from a dizzying array of receivers, each one offering its own mix of features and performance quality. 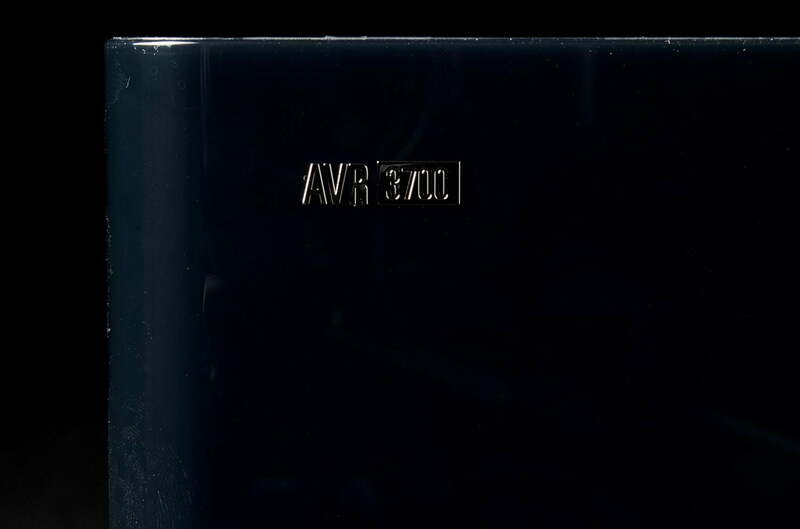 We put the AVR 3700 to the test to see how it fares. Freeing the Harman/Kardon AVR 3700 from its well-packed and sturdy carton, we were initially a bit surprised by its low weight. At just over 17 pounds, the AVR 3700 is the lightest circa-$1k receiver we’ve yet laid hands on. Try looking up the opposite word for “hefty” in the dictionary and we bet you’ll find a picture of the AVR 3700 next to it. There’s good reason for this receiver’s paucity of weight however, which we’ll get to shortly. One thing this receiver isn’t short on however is style: The Harman/Kardon AVR 3700 is one of the best looking H/K receivers we’ve seen in years, and that’s saying something. H/K has always made aesthetically-pleasing, thoroughly-modern looking gear, and this receiver proudly carries on that tradition. Its horizontally-split front panel makes it appear less bulky than it really is, and its brushed-black lower and smooth, opaque upper fascia halves gives the receiver a uniquely refined appearance. It even comes with a removable cover piece for the front panel I/O jacks so as not to break up the streamlined look. Add in the curved, wrap-around front panel, the halo-lit, flush-mounted volume control and inconspicuous control buttons and you have one heck of a sleek and smartly-styled receiver that we’re sure many users will find aesthetically-pleasing. Other goodies we found inside the box included: Two remote controls and enough AAA batteries for both; a detachable IEC power cord; AM and FM antennas; EZset/EQ setup mic, and quick start manual. Like many others, Harman/Kardon no longer includes a full paper manual with the AVR 3700, but one can be downloaded from the manufacturer’s website. We briefly mentioned the H/K’s lighter-than-expected weight, and the reason for it is its amplifier topology: The AVR 3700 utilizes digital-switching Class D amplifiers to generate its power. Since Class D amplifiers operate more efficiently than A/B designs, they don’t require the large power transformers and supply capacitors needed for traditional amp topologies, resulting in a much lower weight and energy-saving design. 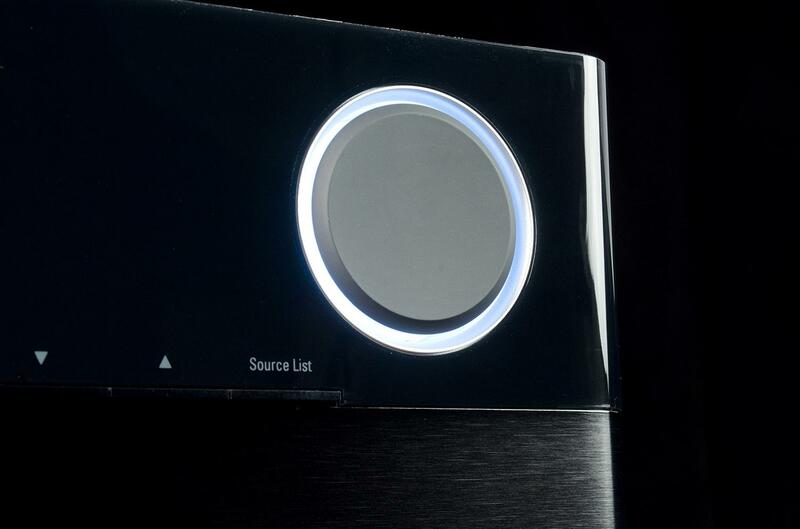 H/K’s touts its take on Class D as being eco-friendly, and compared to Class A/B amplifiers, it certainly is. That doesn’t mean there’s a shortage of power available, however: Harman rates the AVR 3700 as being capable of delivering 125 watts per channel into a full-bandwidth, 20 Hz – 20 kHz, 8 Ohm load with two channels driven. Even assuming a standard 25-30 percent output power drop with 5 channels driven simultaneously, this results in about 90 WPC, which should be more than adequate for average-sensitivity speakers and normal listening spaces. H/K receivers haven’t always incorporated the latest features, but thankfully this one has a pretty decent mix of them. The AVR 3700 is 7.2-channel capable and comes configurable for surround back, front height, or zone 2 channels. That last option includes simultaneous dual-zone, dual-source playback, and all speaker configuration modes are easily selectable from the remote control. H/K even includes a separate, 2nd zone remote, which is a unique and welcome feature. …the EZSet program chose some of the most puzzling and quirkiest speaker settings we’ve ever seen. While there’s no shortage of the standard Dolby and DTS surround modes, the AVR 3700 doesn’t include too many “enhanced” DSP modes. We think that’s a refreshing and welcome change: In our experience, most of the various concert hall, stadium modes and the like that are featured in other receiver brands end up doing more harm than good for the sound anyway. The Harman/Kardon AVR 3700 also includes support for streaming audio and Wi-Fi or wired networked services, including vTuner radio, Apple Airplay and DLNA 1.5-compatibility. Absent from the mix are onboard Pandora and Spotify streaming, though using your smart device or computer for these is a good workaround. There’s also a remote control app available for both Apple and Android devices. The AVR 3700’s front panel USB input is also a helpful feature, but it’s only capable of processing PCM signals up to a 16-bit/96kHz resolution. Why H/K chose to ignore other format file types and resolution, such as 192 kHz/24-bit FLAC, AIFF, WAV, DSD, and Apple Lossless (96 kHz 24-bit) is a strange omission indeed. Also strange for a circa $1k receiver is the mix of input and output options. The AVR 3700 sports full 7.2 channel pre outs for external amplifier upgrades, a disappearing but welcome inclusion. 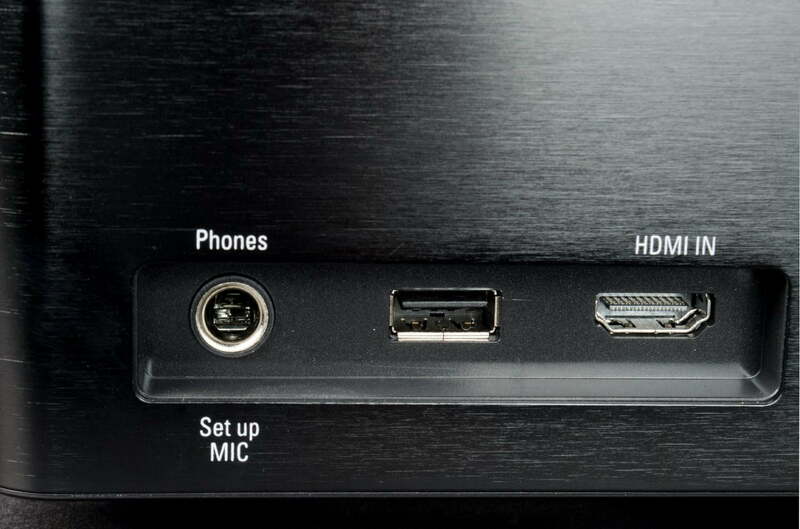 It even includes 8 total HDMI inputs (one front panel) and two outputs which are ready for 4K, Ultra HD and 3D pass-through and upscaling. Unfortunately, that’s about the most flexibility you’ll find on this receiver: The rest of the I/O options are limited at best, and severely inadequate at worst. For example, we wanted to test the H/K with our outboard DAC, CD/SACD player, and turntable/phono preamp combo. 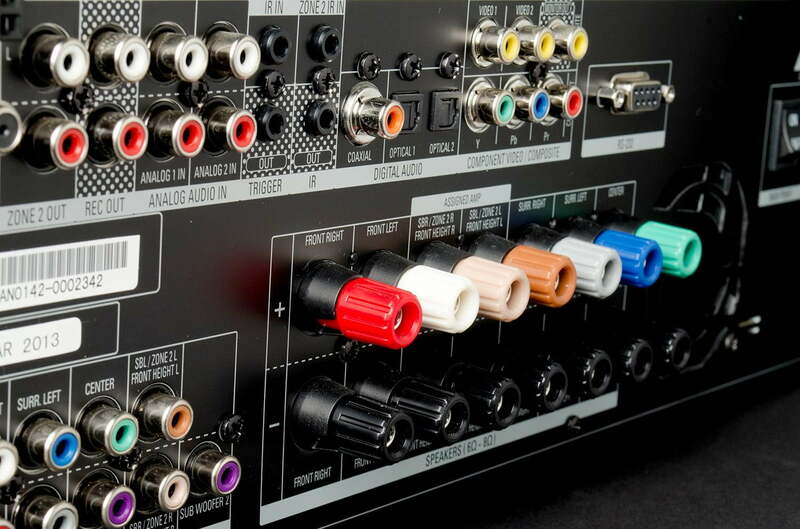 But since there are only two analog inputs available, we would’ve had to physically swap cables in and out, something that no thousand dollar receiver should require you to do. If other manufacturers can do better, we think H/K can, too. Once we connected as much of our gear as we could, we set up the included calibration mic in our usual sweet spot position and ran the EZSet/EQ auto setup program. We then went back into the receiver’s manual setup menu to double check the speaker settings per our usual practice and found the EZSet program chose some of the most puzzling and quirkiest speaker settings we’ve ever seen. As examples, the AVR 3700 correctly set our speakers’ distances, but it initially set our Aperion Verus Forte towers and center channel as full-range, large speakers instead of a more appropriate small or crossover filtered setting. Thankfully, the AVR 3700’s crossovers are independently adjustable, so it’s possible to fine-tune them to best fit your requirements. But the worst offender was the H/K’s settings for each speaker’s relative volume level. As a frame of reference, our Aperion Verus surround speakers are approximately 5-6 dB lower in sensitivity and output volume from our standard listening position, and our Verus Forte center channel is about 1 dB lower from same. The AVR 3700 chose to ignore all of that however, setting relative levels at +7 dB for each left and right, +4 dB for the center channel, -10 and -9 dB for the surrounds, and +5 dB for the sub. Needless to say, these settings ran completely counter to what the speakers actually needed for proper balance from our listening position. Bottom line: Use the AVR 3700’s EZSet/EQ for your distance and EQ settings, but go with manual calibration for everything else if you value accurate speaker settings and desire a balanced sound field. To fully put the Harman/Kardon receiver through its paces, we used it with a variety of gear, including: A Samsung UN40C6300 LED TV; Samsung BD-C5500 Blu-ray player; Denon DCD-CX3 SACD player; HP Pavilion G6-2320DX laptop; Apple iPhone 4; and an Aperion Audio Verus Forte surround speaker system. In our experience, class D amps can sometimes offer an interesting set of sonic trade offs. Many have no trouble with sheer volume, but they can run into difficulties with dynamic range accuracy. To see how the AVR 3700 fared in this regard, we started our evaluation by watching some of our favorite action flicks, including Skyfall and The Dark Knight Rises. We’re happy to report that the Harman/Kardon AVR 3700 had excellent dynamic range capabilities, sounding consistently powerful, punchy and effortless throughout our listening sessions. It reproduced the full brunt of the sonic roller coaster of the ending battle sequence from The Dark Knight Rises, and it was equally adept at delivering all of the impact during the tunnel explosion scene from Skyfall. While we may have wished for just a bit more microdynamic resolution at times, the H/K’s way with macrodynamics was certainly nothing to scoff at, and both were excellent for a class D amp. When we weren’t evaluating the H/K’s way with dynamics, we were focusing our ears on its engaging sound quality and tonal character. The AVR 3700 possessed a pleasingly rich yet clear tonal balance, weighty bass depth and impact, and a surprisingly well-developed harmonic envelope. Watching one of our favorite dialog-driven films, The King’s Speech, allowed us to zero in on the H/K’s somewhat warm and smooth way with vocals and midrange sounds in general. The rest of the I/O options are limited at best and severely inadequate at worst. Once we turned our attention to music however, we became even more impressed with this receiver. The AVR 3700 sounded more like a high end, audiophile-grade amplifier than it had any right to, given its surround-friendly features and mid-figure price tag. For example, many of today’s receivers fall short on refinement when it comes to classical music, but not the AVR3700. Choral music, such as Stile Antico’s Music for Compline, sounded naturally full-bodied, clean, and well-defined, with fine separation between distinct voices within the mix. The H/K receiver also sailed through one of our favorite densely-layered recordings, Esa-Pekka Salonen and the L.A. Philharmonic performing Stravinsky’s Rite of Spring. The sound was appropriately dynamic, timbrally accurate and quite articulate when called for, and we enjoyed the AVR 3700’s rendition of sonic details, such as the natural decaying ring of bells, chimes, and cymbals, and the plumb-y sound of mallets hitting tympani skins. But that didn’t mean the Harman receiver couldn’t rock; just the opposite. The AVR 3700 allowed us to really get our groove on with everything from Stone Temple Pilots to Stevie Wonder and all stops in between. In particular, STP’s “Interstate Love Song,” from their album Purple, sounded more propulsive through the bass and more open through the treble than we’ve heard from other receivers in the 3700’s price range. This receiver’s fatigue-free sonic character meant we could listen to it for hours on end, which we happily did on several occasions. While we were quite pleased with the H/K’s sonic performance, we were less enthused about its functionality, specifically its bass management options. For example, we have a mild but persistent 60 Hz mode in our room, and certain bass-heavy music, like D’Angelo’s “When We Get By” from his Brown Sugar album, can easily tell us when a receiver is a bit too rich in the bass. Listening to this track through the H/K receiver with the L/R + LFE setting engaged, bass output initially sounded quite excessive. This had us yearning for some tone control luvin,’ so we could tame the lows a bit, but we noticed something strange once we engaged the bass control—it instantly lowered the overall bass level by a marked degree, even with the tone controls set to zero. It’s quirky behavior for sure, and we’re at a loss to explain why this could even happen. But happen it did, and it did so consistently, regardless of the music or movie we played. Bottom line: Depending on what you’re listening to, you may have to play around a bit with the tone control settings. We settled on leaving the tone function on, but in the neutral, 0 dB, flat setting, which made the bass in our room sound more neutral. We were however pleasantly surprised with the AVR 3700’s auto EQ function. It was noticeably less drastic than almost every other EQ calibration system we’ve tried, and it retained much of our speakers’ sonic signatures while making a subtle yet effective difference. Vocal and treble details in particular stood out in greater relief and were especially easier to hear at low to moderate volumes; bass also sounded smoother overall while never sounding artificially enhanced. We should also mention that, while its ergonomic layout took a little getting used to, using the AVR 3700 on a daily basis was pretty straightforward. Its onboard streaming and networking features such as AirPlay worked smoothly and without a hitch. Its vTuner internet radio feature also worked dependably, as did Harman’s iPhone remote app. It wasn’t flashy by any means, but it was easy to use and well laid out, which makes it a fine alternative for the somewhat large main remote control. 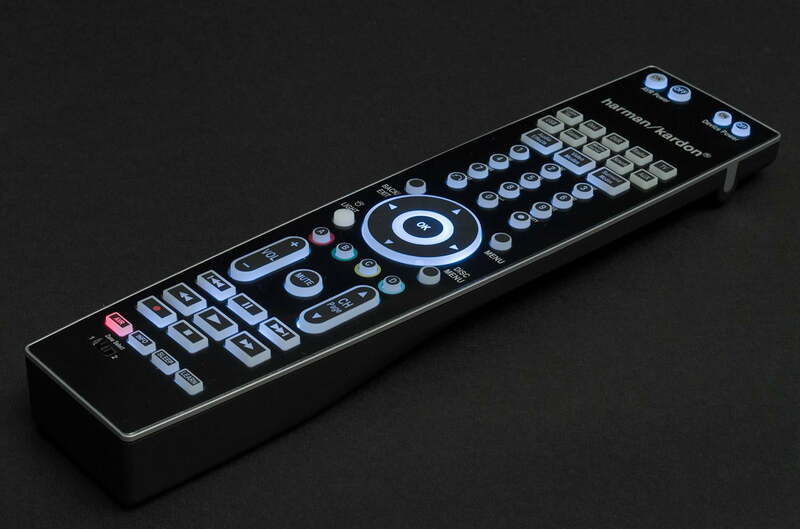 We must make special mention of that remote control, too: It’s a full-on, glow-capable, backlit model, a feature that seems to be disappearing from receiver remotes everywhere. We can’t even begin to tell you how much more we enjoyed navigating its controls while watching movies in our fully darkened, theater-like room. Instead of fumbling around the remote by feel, or, gasp, getting up to turn on the lights, we could just simply kick back and relish in our movies. Well done, Harman/Kardon, well done. Going into this review, we weren’t quite sure what to expect from the Harman/Kardon AVR 3700. On the surface, it has a good mix of today’s relevant features, excellent power capability, and a smart ‘n sleek design aesthetic that is uniquely Harman/Kardon. But once we started using it, its somewhat idiosyncratic setup and bass management features tested our mettle a bit. Throw in its limited input capabilities, and our verdict for this receiver was starting to look pretty dire. Once we got used to all of that however, we really enjoyed listening to the Harman/Kardon AVR 3700 over the long haul. Its clean power delivery and dynamic capabilities were quite impressive for a class D receiver, and its rich, powerful, and refined sound reminded us of what a good, audiophile-quality amplifier sounds like. Perhaps most importantly, the H/K drew us into our music and movies in an engaging and immersive way every time and without fail. That counts for plenty in our book. If it does in yours also, and if this receiver’s features fit your needs, we’re betting you’ll enjoy the Harman/Kardon AVR 3700 as much as we did.